Thanks for sharing your adventure. I enjoyed riding along. Best of luck to you as you navigate this wonderful journey called life. You sold the bus?????? WOW. Think of you 2 now and then and wonder if you were redoing the inside of it. ! ques if I may, and it’s ok if you choose not to ans. what was your final cost to do the trip?? I am sure the biggest expense was fuel and that will be Cheri and mine as well. Still haven’t sold the house and again will try this year. Had others stay with us over the summer and fall, looking forward to having more people this year. Will be looking you up when we make it out there. be safe and stay in touch from time to time. Chris & Cheri. Nice to hear from you! I hope you are faring alright in the snow over there. I’m glad you are enjoying time with some fellow boondockers while you still have your place, hopefully you can make some more connections for when you do take off and are ready to stay with others. About your question, we estimate we spent something like $4K on diesel over the 12,000 miles of our trip. That was a lot, but it was more than worth it for the experience! And of course we didn’t get very good fuel economy, especially when taking her up some mountainous terrain (mostly in Colorado). 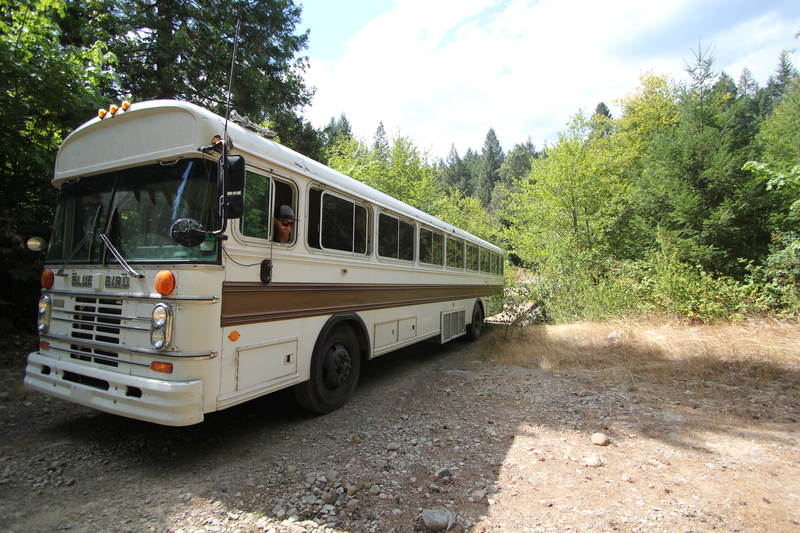 It is hard to think sometimes that we don’t own the bus anymore but we made the tough decision to let someone else enjoy it while we get our lives settled out here. We didn’t have a good place to park it and we didn’t want it to sit unused for a long time. We plan on having another project in the future, maybe a smaller bus or some kind of trailer. It was too much fun to not do again! Good luck with the house you two! Glad to see you back! Hope to hear the rest of the story lol. Are you selling your bus? My husband and I want so bad to travel but we have 1 more bird to get out of the nest, he is 18 and about to start technical school. Then we can be on our own again. Welcome back.